This week’s interiors blog post is dedicated to the kitchen and kitchen ideas. In the 12 years of owning our property, we have redesigned the kitchen three times. On two occasions, we have used Ikea units, first with wooden cabinets then with glossy dark grey. For our third kitchen in our flat refurbishment below, we were lucky enough to get a whole kitchen for free thanks to Freecycle! This has to be our best Freecycle find ever but that’s another story! Now back to some kitchen design ideas. 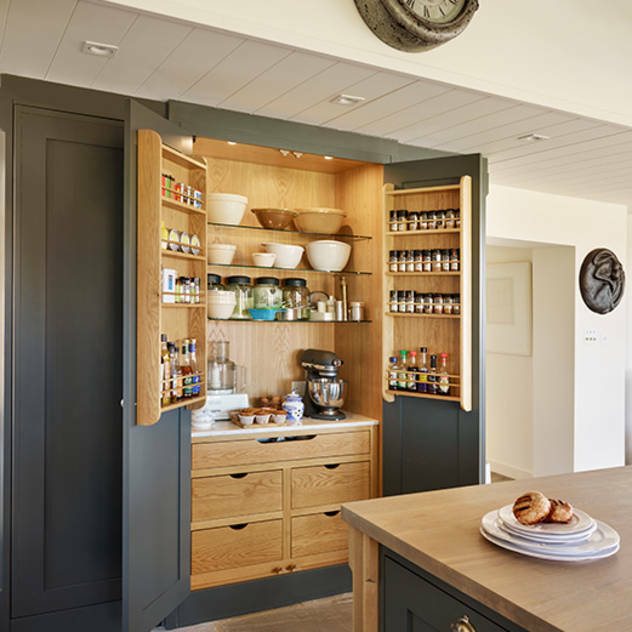 There’s nothing wrong with the Ikea units we have currently but having worked in the interiors industry for years, I now yearn for the pared back simplicity of expertly crafted cupboards in a Shaker style made from natural materials over MDF. 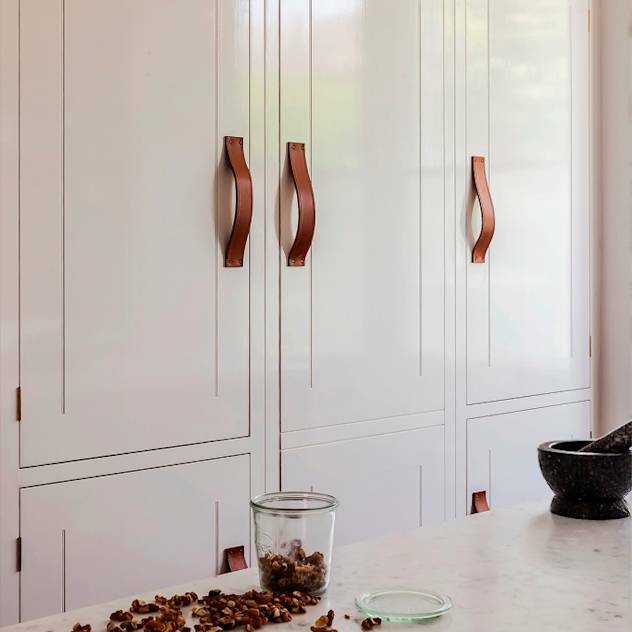 For a touch of elegance these wooden cupboards are best combined with richer textures and stones like Carrara marble or limestone for splashbacks and worktops. If you are ever looking for kitchen design ideas, try out Homify. I found it an invaluable resource when planning any space in the home. When it comes to cabinetry, it’s important to select the right wood for the right purpose. Opt for cabinets in flexible tulipwood or a hardwood which is more durable and can withstand heavy use. Of course wooden cabinetry comes with a higher price point but the functionality and overall aesthetic wins every time. 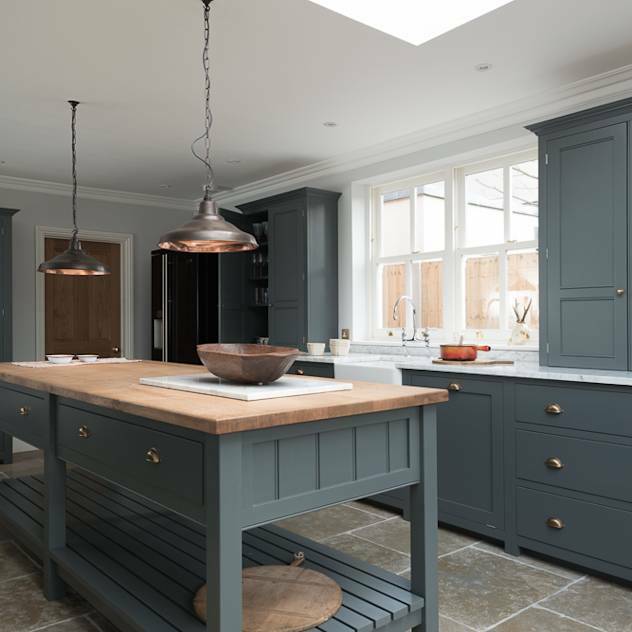 I really like the look and feel of this kitchen from Devol, an elegant shaker style made using traditional 18th century techniques. 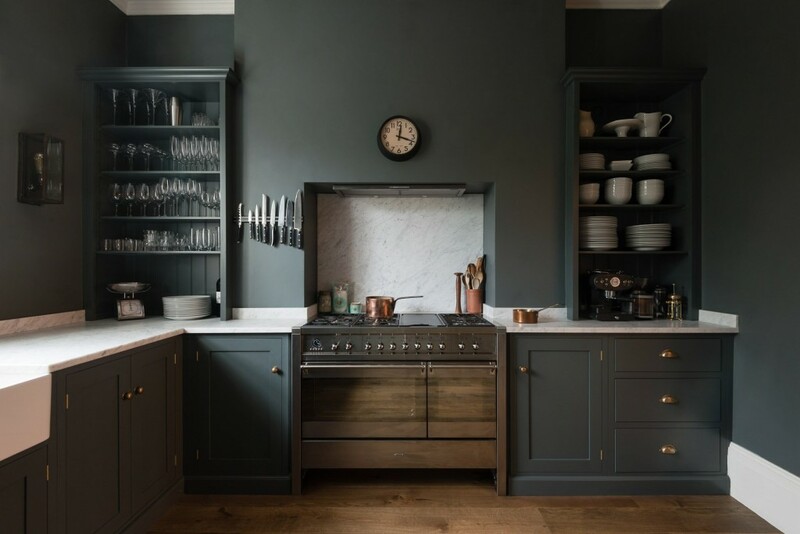 I have always been a fan of dark colours for the kitchen, never the clinical and minimal white look. 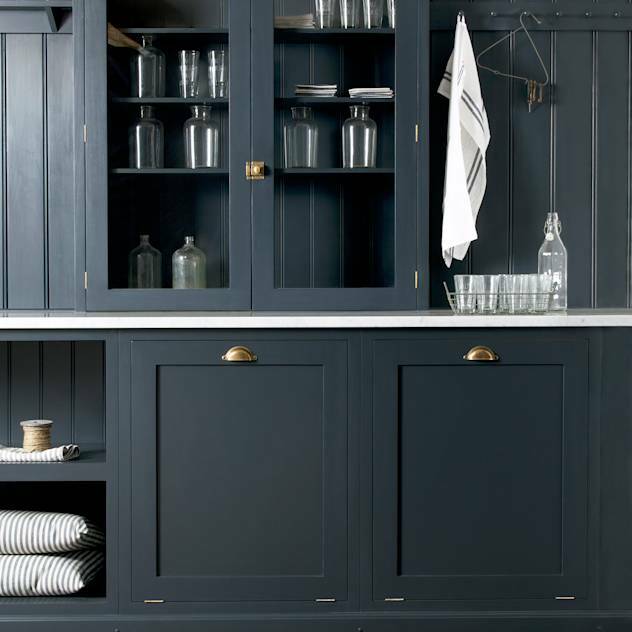 Everybody is opting for dark grey at the moment which is still a favourite of mine but I also think indigo blue works really well for the kitchen. 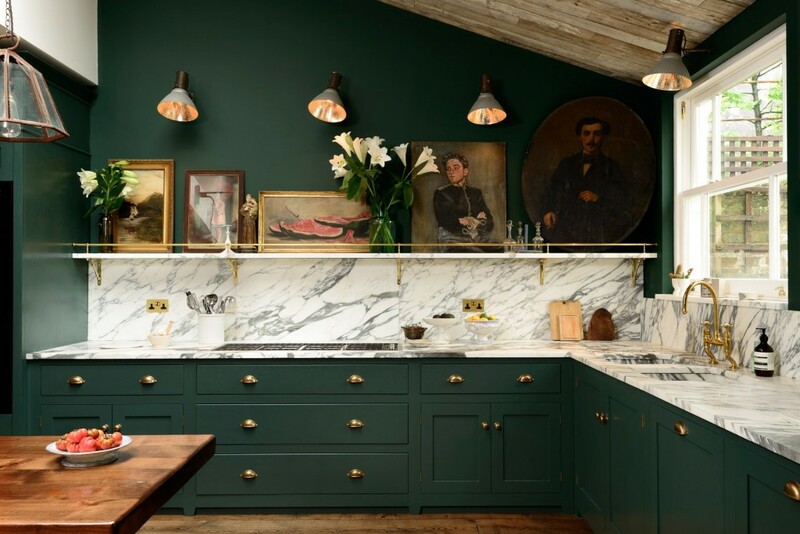 I also love this green of the Devol kitchen below, a colour a cross between emerald and racing green. Team with a light colour worktop in Carrara marble or limestone. Marble is definitely experiencing a renaissance and a material that is definitely in demand in the kitchen. 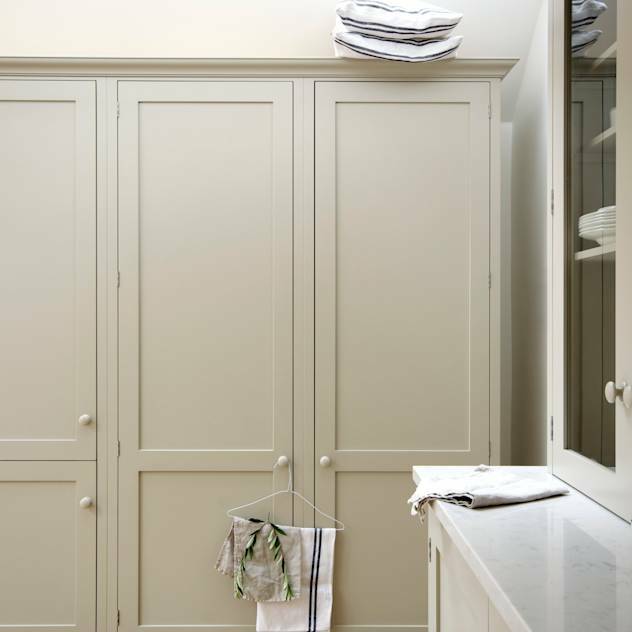 Carrara marble adds that opulent feel but teamed with simple wood cupboards, it gives a pared back, elegant aesthetic. 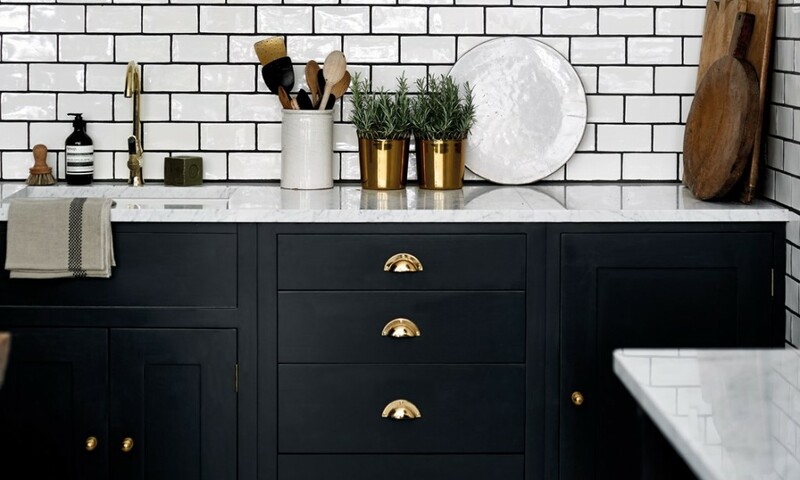 Marble is timeless and so durable for the kitchen whether it is used as a splashback or you could even add a hint of the stone with marble accessories like these from ones from Rose & Grey. 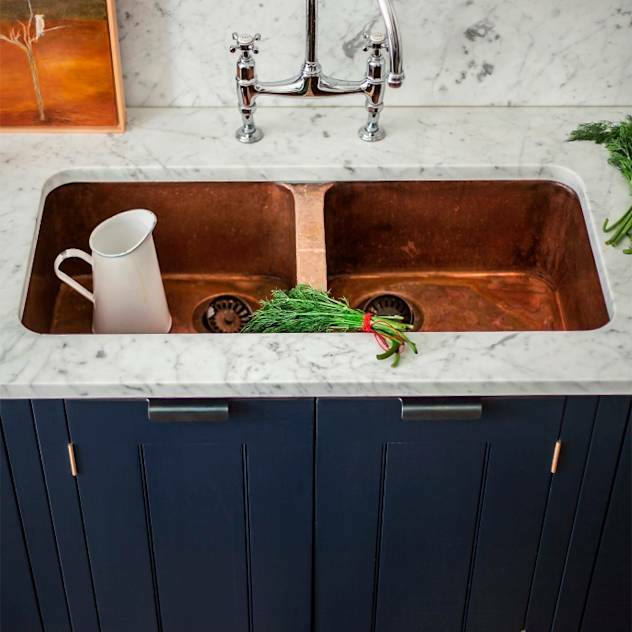 Team marble with a copper sink for a unique touch. Storage, Storage, Storage! You can never have enough kitchen storage. 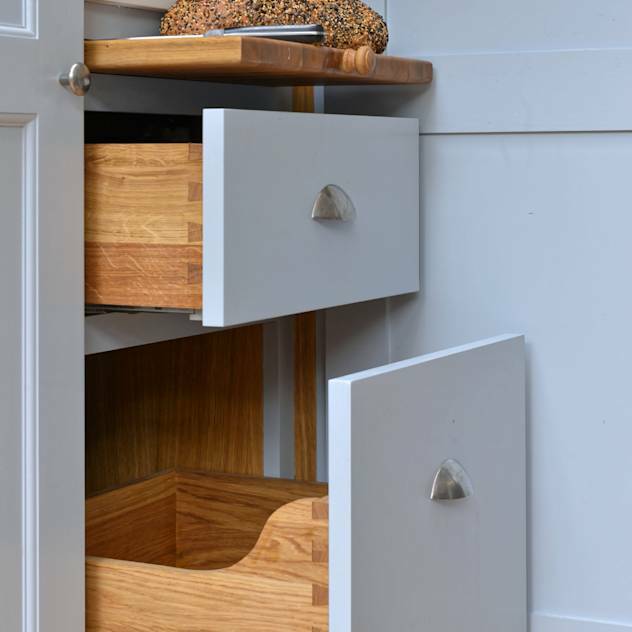 Opt for deep drawers and clever storage solutions. If space permits, build a bank of floor to ceiling cupboards along one wall of the kitchen. I can honestly say that this piece of design advice has really helped in our kitchen and created ample storage space. Choose cupboards which are less deep than the traditional kitchen cabinet. This means you are not always having to reach right to the back of a cupboard where it’s difficult to get to. 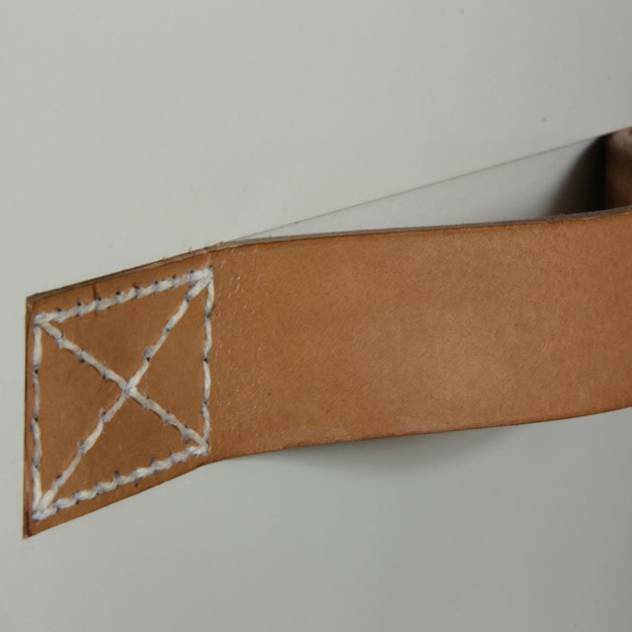 Add a finishing touch with leather handles for the drawers or cupboards. These handles as seen on British Standard Cupboards kitchen add a sense of luxury and a bespoke feel about the room. 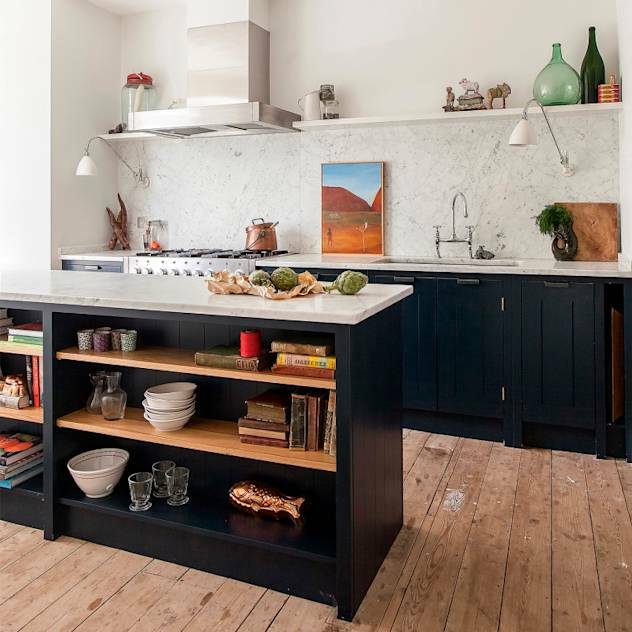 For more kitchen design ideas and inspirational shots head to Homify, an invaluable resource and sourcebook when planning your kitchen design or any area in your home for that matter. 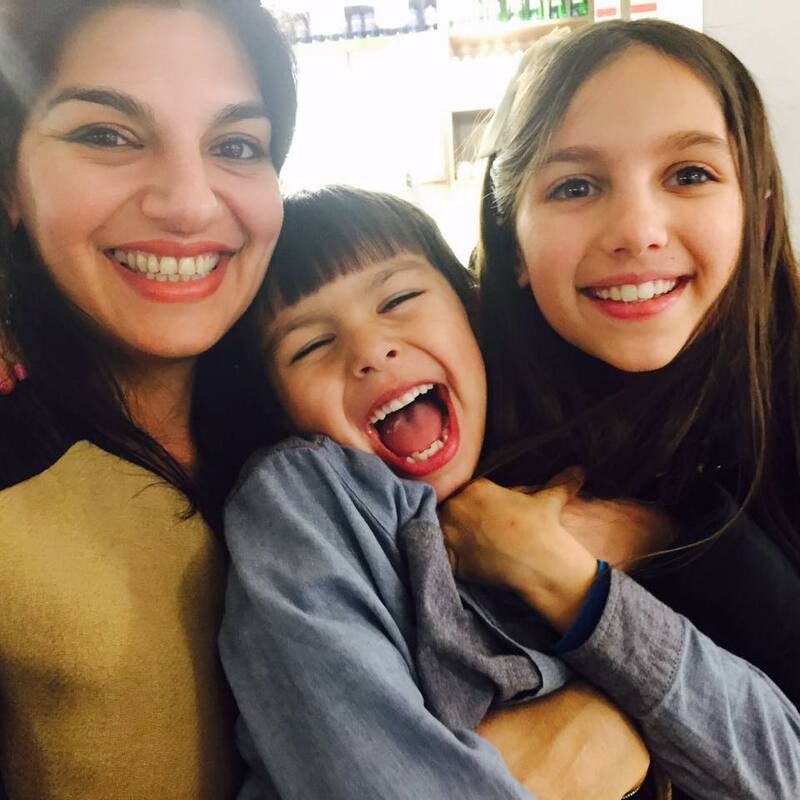 Beauty brand, Pai Skincare has this month launched its dedicated baby and child-focused range, Petit Pai. The new range focuses on delicate skin that is easily irritated or unsettled. Formulated using certified organic ingredients with proven therapeutic properties, the new range delivers instant relief to troubled skin and helps lay the foundation for healthy skin in the future. The new collection includes: Apple & Mallow Blossom Face & Body Cream (£20) and Apple & Mallow Blossom Hair & Body Wash (£18, including 100% natural Konjac Sponge), both created to maintain the optimum pH of babies’ skin. All Pai and Petit Pai products are certified organic by the Soil Association are Vegan accredited and Cruelty-Free. I can’t wait to try out this new Petit Pai skincare and haircare range from Pai Skincare. When Miss I was very little she had a patch of eczema on her face which would not disappear. I hate using chemical-ridden products for baby and children’s sensitive skin as you really have no idea what you are putting on. How delicious does the Apple & Mallow fragrance sound? There is even a try me set (£8) which is a travel sized option of the cream and body wash. Available now from Pai Skincare. So for once this year I am turning my attention to the great outdoors. With an impending birthday party to plan in the garden, let’s hope the weather improves by July. Keeping fingers and toes crossed for this or am I just seriously deluded?! First up is the seating, I have always loved the classic lines and shape of the stunning acapulco chair but this bistro chair from George is a purse friendly alternative. 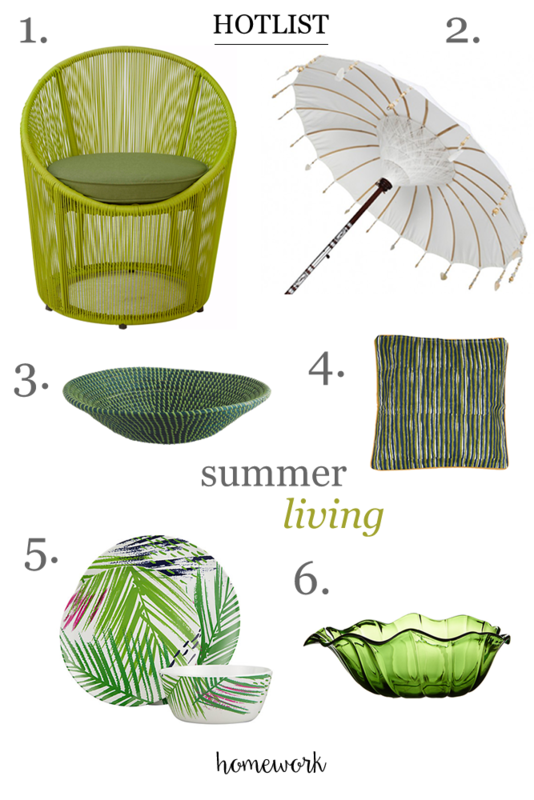 I wouldn’t normally go for lime green but for me the zingy hue just works alongside all the foiliage outside. Next up is the Indian Garden Company‘s Cream Pearl parasol. What’s not to love about this handcrafted beauty made in Bali by highly skilled artisans using bamboo and coconut wood. Set the table with some eye catching picnic and tableware in natural inspired materials like the woven basket from Habitat. 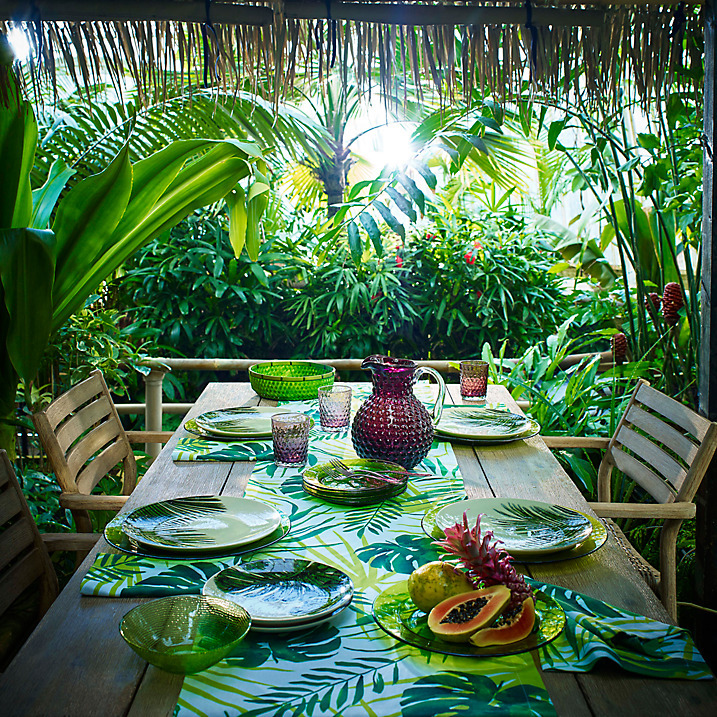 Love the Palm and La Selva collection from John Lewis as well as the table textiles. For that extra hint of green foliage, add a block printed cushion pad from CMYK Living. The reverse print actually features tuk tuks but I love the natural look of this cushion which works just as well outdoors.